Our name reflects the way we do business. Pytha Partners works collaboratively with all facets of industry – including TAFE, industry associations, hardware and machinery suppliers and other software and technology experts – to foster a high level of PYTHA 3D CAD software ability industry wide. Most importantly, we partner with our customers for lasting support and solutions. We’ve worked hard to build a team committed to helping you get the maximum potential from your PYTHA software, with the minimum disruption to your productivity. With over twenty-five years in the joinery industry, Michael Rowe knows a thing or two about the game! 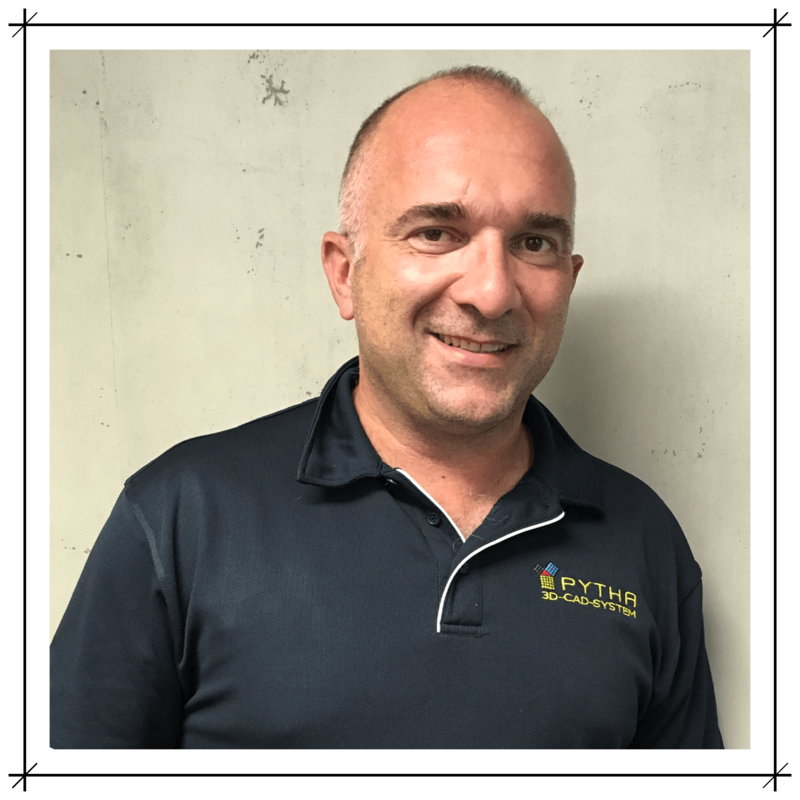 He first discovered PYTHA as a shopfitting apprentice, and soon learned to love the capabilities and potential of this user-friendly program. His years of practical experience in all faces of planning, presentation and production allow Michael to genuinely ‘talk the talk’ with designers and manufacturers, ensuring that they are getting exactly what they need from their software installations. Some of you may have met the multi-talented Kim Girdlestone at our Pytha Partners Convention. Kim was one half of the fantastic pair serenading guests and rocking the Rooftop of the Holiday Inn Old Sydney. When she’s not singing up a storm, Kim has an eye for detail and some management magic that’s ensuring we are meeting customer expectations and building services to suit. She is also instrumental in developing our online presence for libraries and online training. 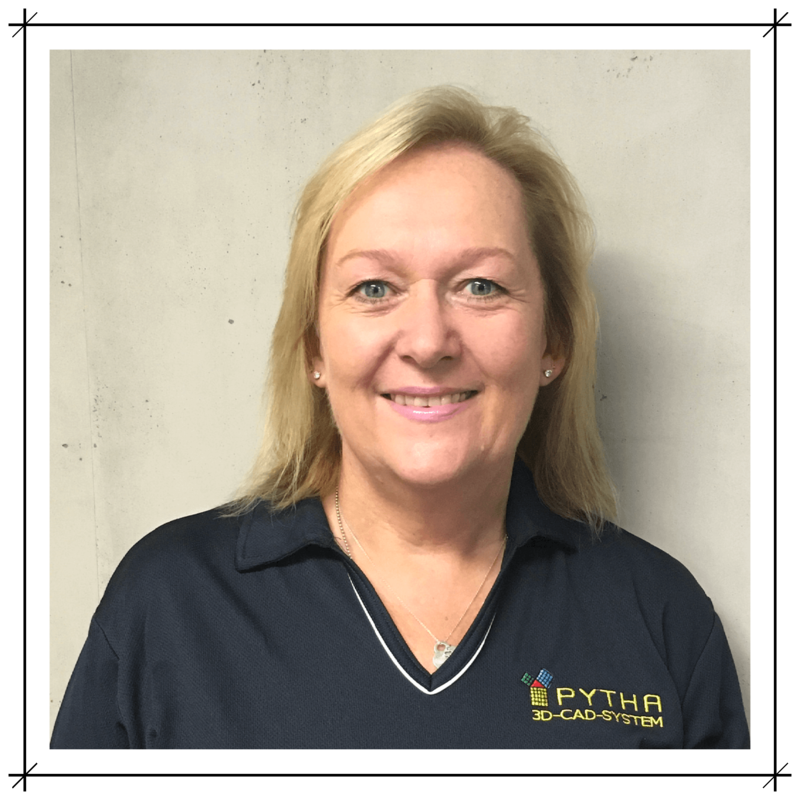 Tam Hinchy has an impressive history in implementing systems and procedures, and as a one of the longest standing members of the team, we love her proficiency in the Pytha Partners office. Tam will most likely be your primary point of contact with Pytha; if she can’t solve your problem, she’ll know who can and will get you back to business in no time. 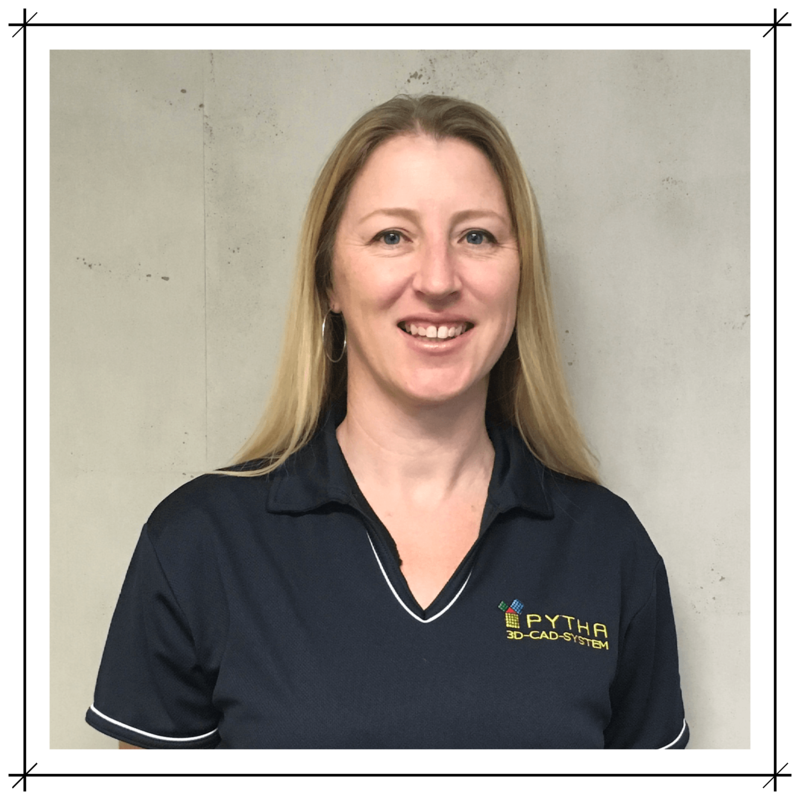 With a trade certificate in Furniture Making (Cabinetmaking) and almost a decade of detailed production drafting and CNC machinery operation, Katie Sayour certainly knows her way around PYTHA and Analyzer software. As the lead draftsperson in her previous role, she also has a clear understanding of the pressures involved in production work – stalls in drawing equal stops in production, so keeping a job moving is critical. 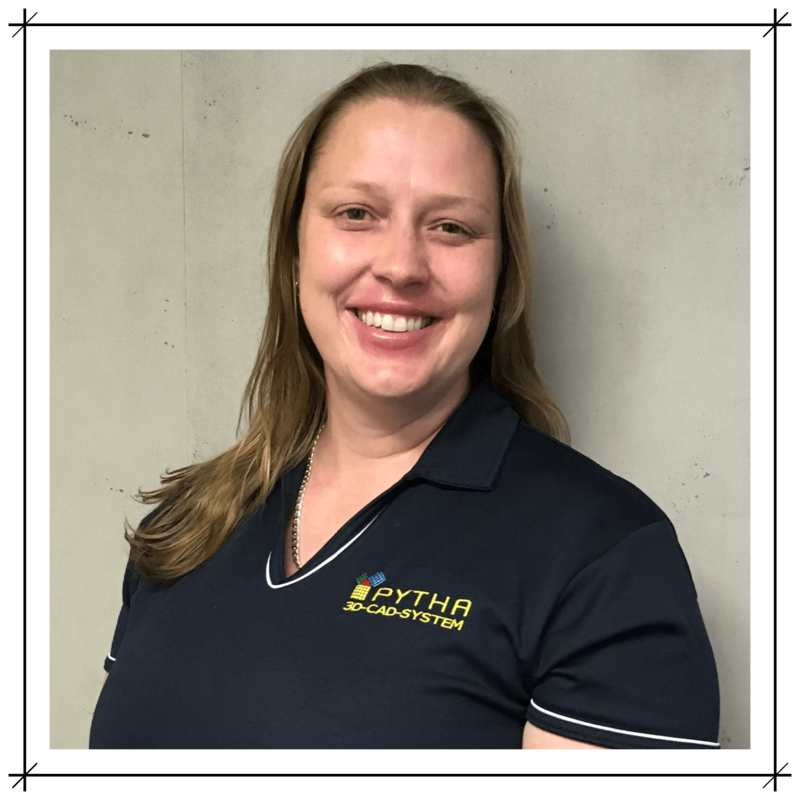 Katie’s super efficiency will help keep you on the move, and with her technical know-how, she challenges you to find a PYTHA problem she can’t solve! With his hands on experience in the joinery shop and valuable time selling machinery with Biesse, you can trust Gino to have a great understanding of your industry and a good handle on how PYTHA can help you and your business. 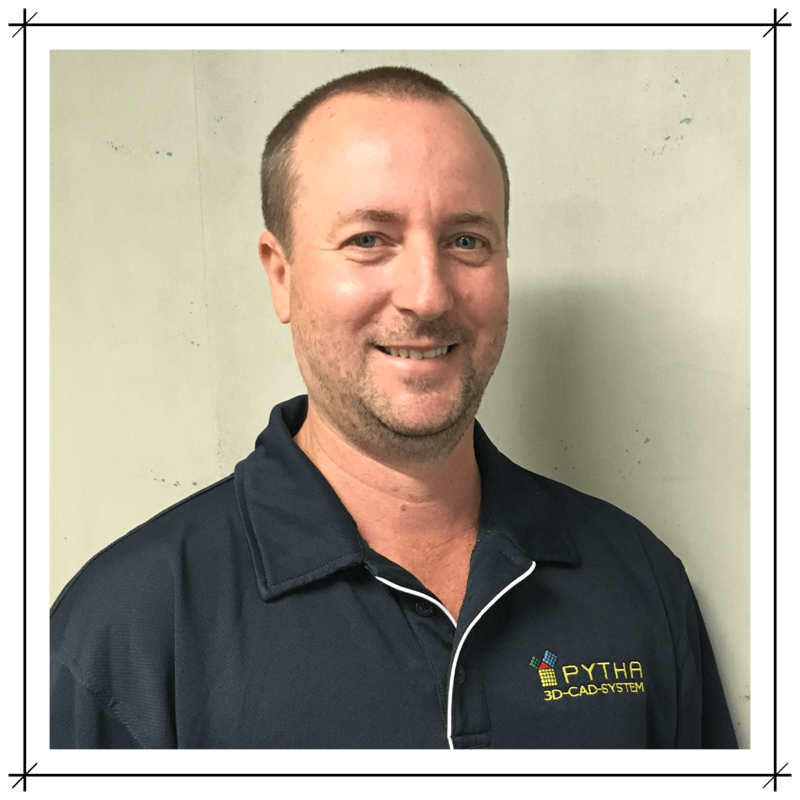 If you’re trying to get your head around how PYTHA would fit for you, contact Gino today at sales@pythapartners.com.au. Jake McKechnie brings a practical and proficient knowledge of joinery and CAD software to the Pytha Partners team. 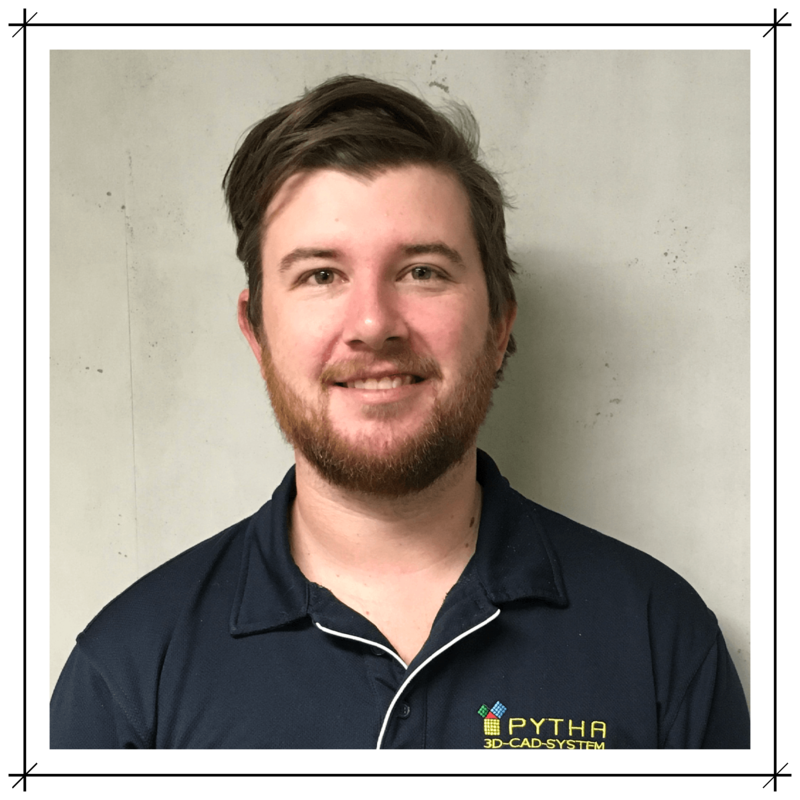 Jake has long enjoyed tinkering with both timber and technology, and his hands-on experience in both fields allows him to coach new and experienced PYTHA users as they hone their software skills. Jake is delivering an exciting new training program for Pytha Partners – learn more here. With over twenty years’ experience in all facets of joinery and shopfitting – from sweeping the factory floor to managing million-dollar fitouts – Paul has a great understanding of the need for speed, accuracy and efficiency in the CAD and CAM areas of your business. 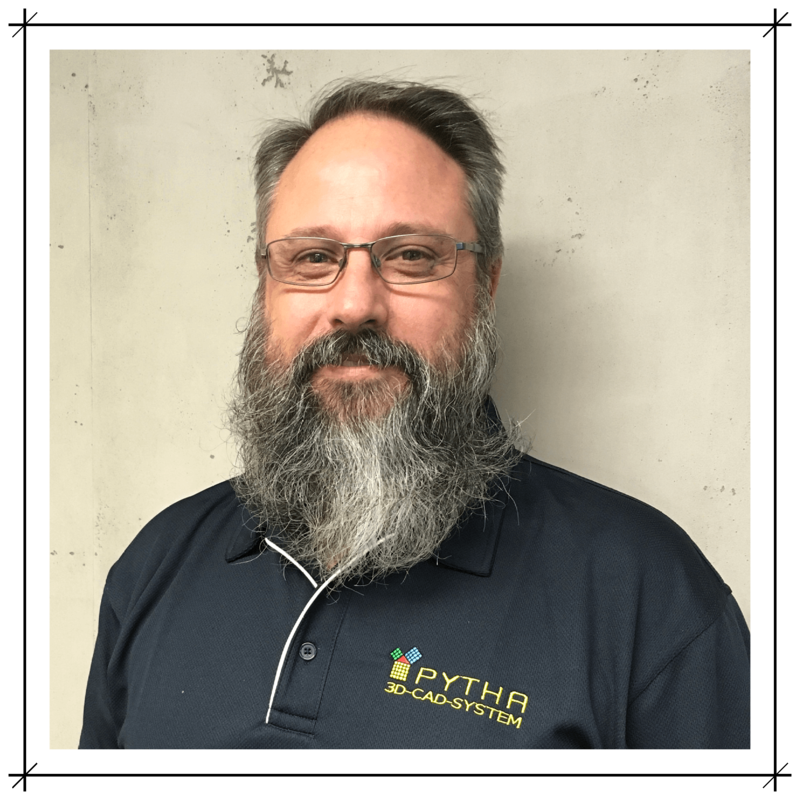 In his role as ‘Implementation Specialist’, Paul will be the man to get you up and running with PYTHA 3D CAD.